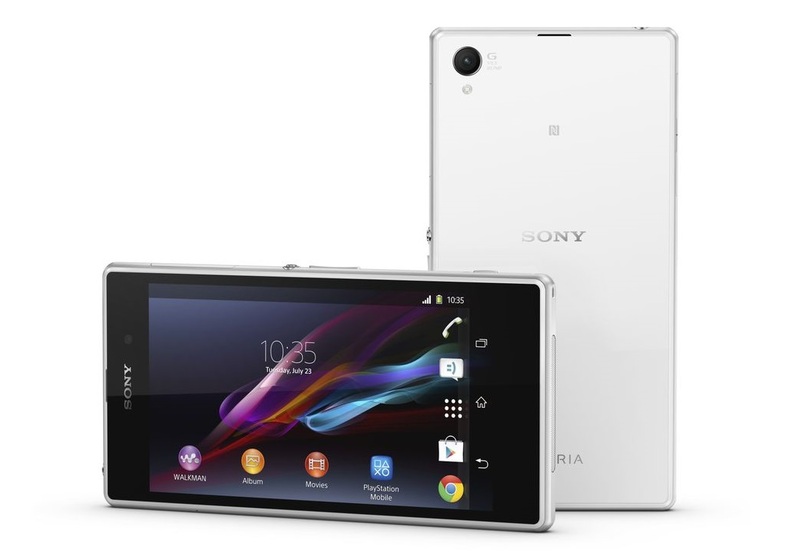 Sony Singapore will soon launch their newest smartphone, the Xperia Z1, their flagship model. The new design looks similar to the Xperia Z featured early this year, with the front and back glass panel casing. It feels quite familiar, yet substantially improved in pretty much every area. By the looks of it, Sony has done more than enough in order to bring those elements where the Z was lacking to the necessary premium level. The Sony Xperia Z1 has almost the same design as its predecessor, except instead of the overall rubber texture, it is now replaced with a metal frame, which makes it a little more posh looking and a more exclusive feel. The front and rear panels are still made of flat, tempered glass. The Xperia Z1 is a beautiful phone. However, when I first picked it up, I felt it was a little on the overweight side. With phones getting thinner and lighter, the Xperia Z1 took a reverse gear on this approach, and feels significantly hefty in the palm of your hand. With substantial top and bottom bezels left around the display, the Xperia Z1 is also bigger than the other 5″ phones in the market at 5.69 x 2.91 x 0.33 inches. Between the Sony Xperia Z1 and the Samsung’s Galaxy S4, the S4 sees some space reduction at 5.38 x 2.75 x 0.31 inches. Even the 5.2″ LG G2 with the thin bezel is smaller at 5.45 x 2.79 x 0.35 inches. There’s also the increased weight to deal with. The Xperia Z1 weighs in at 170g, as compared to the Samsung Galaxy S4’s 130g, HTC One’s 143G and LG G2 at 143g. In that regard, the Xperia Z1 is the heavyweight. but I quickly got used to it and I didn’t really find the weight a hindrance in my week of usage. Overall, the Xperia Z1 looks to be a slightly beefed up version of its earlier sibling, with the same size 5-inch 1080p display — but equipped with an improved Sony LCD which helps alleviate the washed out colours of the previous model. It’s the same Sony screen technology that was implemented on the Xperia Z Ultra tablet. Overall, the Sony’s Triluminos screen technology helped ensure a better range of colour display with improved colour tones. The Z1 also features Sony’s X-Reality technology for improving the viewing experience of low res video. You can find a bunch of things around the sides of the Xperia Z1. Of course, the circular power button characteristic of the Xperia line remains. The volume buttons are less obvious and are multi purposed. In the camera app, they provide zoom functionality. Useful! And next to it, we finally get the camera hardware button. I was impressed that it is easy to access, (depressing it activates the camera app) but it never triggered accidentally too. In addition, it has the two step functionality as per a point and shoot camera (for autofocus first and actual picture taking on the harder press). There are also the MicroSD slots, MicroSIM and MicroUSB connections hidden under flaps to ensure the phone is waterproof. The MicroUSB cover can be quite irritating as you would need to pry it open to charge. If you find it too much of a hassle, you could invest in Sony’s Magnetic Charge Cable (the DK30), which functions like the Apple MagSafe connector with the magnetic pogo pin ports on the left side of the phone, making for quick and convenient access. The headphone port is no longer covered, allowing quick access to music with no need to pry open the covers. 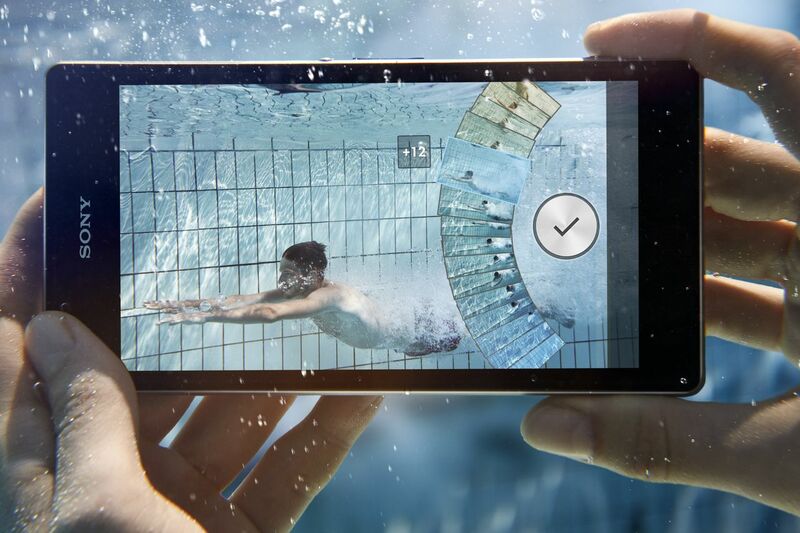 Amazingly enough, the phone is still waterproof, and with hardware buttons, allow for underwater photography. For the specifications, the Xperia Z1 runs Android 4.2 Jelly Bean at launch. Under the hood it has a 2.2Ghz quad-core Qualcomm Snapdragon 800 chipset. There’s also 2GB RAM, 16GB internal storage – expandable via a microSD card slot. Powered by the potent Snapdragon 800 SoC and Adreno 330, its the top-tier spec currently on other premium phones as well, and overall no issues encountered on the phone. The Sony Xperia Z1 comes fixed with only 16 GB of internal storage, but thankfully, it also gives you the option to install a microSD card for additional storage space. Available in white, black and purple, Xperia Z1 from Sony Mobile will retail in Sony stores, Sony centres, Xperia concept stores, authorised outlets as well as all telco operators from 04 October 2013 onwards at a recommended retail price of S$998 without contract. I quite enjoy the functionality provided by Sony’s Small Apps. Accessible by pressing the multitask softkey, there’s the option to run a windowed calculator, browser, stopwatch and note taker. It is very handy to do quick calculations, make quick notes, or just pull up another browser page to compare information. The waterproof features of the phone, dedicated camera button, including zoom controls were very useful additions to the phone. The Xperia Z1 functions well as a quick go-to camera and the 20.7 MP camera with 27mm wide angle and F2.0 aperture sure sounds impressive. I didn’t had a chance to take it out for too much photo opportunities so bare with my lack of photo samples but the short time I had with the camera, it was a positive experience. Slightly noisy at low light conditions, but could fare better under manual conditions. Alvin over at Unleashthephones have a good gallery of photos taken with the Xperia Z1 and they are definitely worth checking out (here).